Stained glass beautifies a building and often is a touchstone for visitors. Stained glass communicates visually and emotionally. 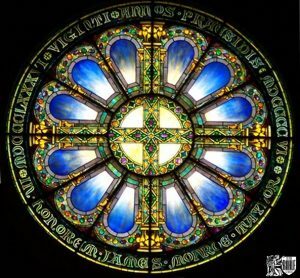 Stained glass is one of the most valuable assets a religious building has. Stained glass has history to both the Congregation and our country. Preserving stained glass is preserving our cultural and religious heritage, allowing future generations to enjoy and appreciate these beautiful pieces of art. Properly restored stained glass windows increases energy efficiency, reducing heating and air conditioning cost.